Jodie is Research Manager, Mintel Food and Drink, Asia Pacific. She has more than a decade’s experience in the food and beverage industry, working for both global CPG companies and SMEs. With vegetables and superfoods a focus of recent breakfast cereal launches, it is likely only a matter of time before experimentation with savoury flavours appears. Rising health consciousness in Western markets has changed the face of breakfast. Superfood-laden smoothie bowls, breakfast bowls, chia puddings and breakfast salads have joined ranks with more traditional items such as bacon and eggs, muffins, toast and pancakes, and have become commonplace on menus. The popularity of these healthier ingredients is reflected in breakfast cereal launches with strong growth in the use of nuts, seeds, chia and quinoa over the past four years. Superfoods, the superheroes of the food world, have earned their name because they are generally a rich source of vitamins, minerals, macro- and micronutrients. Foods such as quinoa, chia, açai and kale have all shot to fame in recent years on account of their superfood status. Launches of food, drinks, and vitamins and dietary supplements that claim to contain superfoods have doubled globally in the three years to March 2017. Superfoods have particular appeal in the morning, as many consumers consider breakfast to be the most important meal of the day. In the UK, nearly two thirds agree that having a healthy breakfast makes them feel better about themselves, according to Mintel’s research on UK breakfast eating habits. While many breakfast cereal brands have used the appeal of superfoods in their formulations, few have actually experimented with superfood powders such as kale, spirulina, matcha or açai, which are popular in the vitamin and dietary supplements category. When included in a quick-cooking oats sachet or overnight oats bowl, these powders could lend both nutritional value and the vivid, natural colours that have made superfood smoothies so popular. Pictures of crimson beetroot porridge and golden turmeric chai porridge are regularly shared on social media, but only a few hot cereal brands have tapped into this trend. Will savoury and ethnic flavours be next? Along with the popularity of superfoods, savoury flavours are also emerging in several categories, such as yogurts and snack bars, as a flavoursome and low-sugar alternative to sweet flavours. There has been speculation in the food media for several years about if and when savoury porridge will take off. Savoury oatmeal is particularly popular in India, while congee, a savoury rice porridge, is a well-established, traditional breakfast throughout much of Northern and South-East Asia. Whilst several breakfast cereal brands are now incorporating vegetables, the savoury porridge trend is yet to gain traction outside its Asian heartland. However, with vegetables and superfoods a focus of recent breakfast cereal launches, it is likely only a matter of time before experimentation with savoury flavours appear. Given that the Western world’s love affair with Asian cuisine has only impacted dinner and lunch time foods, there clearly is an opportunity to test how adventurous consumers are to explore new flavours and textures at breakfast. 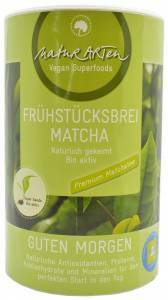 NaturARTen Good Morning Matcha Breakfast Porridge, Germany: This naturally sprouted, easy to digest porridge is made with premium matcha tea and claims to provide a high content of proteins, vitamins and minerals. 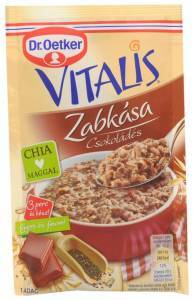 Dr. Oetker Vitalis Chocolate Flavoured Porridge with Chia Seeds, Hungary: Chocolate porridge is the ultimate permissible indulgence, with a strong visual impact due to the brown hue. This variety includes chia seeds for an extra health boost. Jodie Minotto is Research Manager, Mintel Food and Drink, Asia Pacific. She has more than 13 years of experience in sales, marketing and market research roles, predominantly in the food and beverage industry, working for both global CPG companies and SMEs. Her expertise lies in the dairy, confectionery, meal solutions, snack foods, beer and wine categories.